WHAT IF MY ALLERGY WAS A REAL, LIVE PERSON? AND WHAT IF I COULD TALK TO HIM ABOUT WHAT HE’S TAUGHT ME OVER THE YEARS? I’m sitting in my kitchen studying for an upcoming computer science exam. Mr. A., my allergy, is sitting next to me. He’s waving his hands in the air trying to get my attention. I don’t really see him. I’m ignoring him. He’s saying something, but I can’t make it out. I’ve tuned him out hours ago. Look at him. He’s jumping up and down now. Is he doing jumping jacks in my kitchen? He looks like a fool. He’s just trying to get my attention, of course. He wants me to wave at him or to nod at him or tell him to shut up. He wants any bit of acknowledgment. Nope. Not biting. I have too much else to do. I don’t have to feed my allergy’s ego. Did he just pretend to sneeze, trying to coax a “bless you” from me? He better try harder than that. He doesn’t realize it, but my allergy has taught me that I have great control. I learned a long time ago, I decide when I acknowledge his presence. I decide if I am going to give him my attention, my time, my worry. I control how I react to my allergy. Part of successfully navigating a food allergy is understanding what I can control and what I can’t. Part of successfully navigating a food allergy is learning when I have to pay attention to him and when I don’t. Just because he is trying to get in my mind, doesn’t mean I have to let him in. There are times, of course, when my allergy is front and center. That’s just being smart and safe. During those moments, I’ll watch his every move. I’ll listen. But I know when to recognize those situations by now. Besides, if I let him control me, he’d have me thinking about allergy-related stuff every waking hour. He would constantly be nagging me, even when there’s no need. I'd be living in constant fear. Just look at him now. He is standing on one leg on a chair waiting for me to say, “What are you doing?” He’d probably love it if I knocked over his chair. But I won't waste my emotional energy when I don’t have to. He’s like a shadow. No substance. It’s funny. Even though Mr. A is standing so close to me, he can’t connect with me because he’s on my server, and when someone is on my server, I have total control. I decide who gets through and who doesn’t. 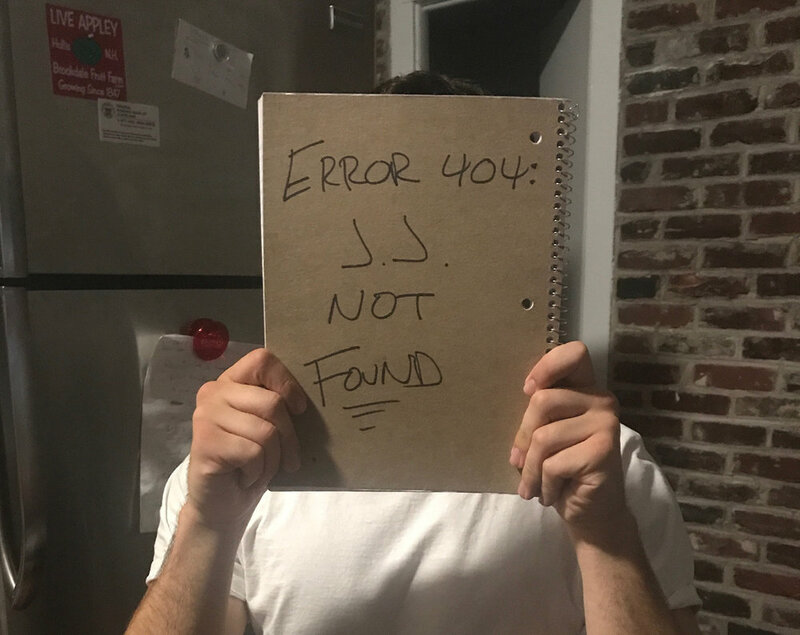 I can break his direct link to me whenever I decide: Hey, Mr. A… 404 JJ Not Found!